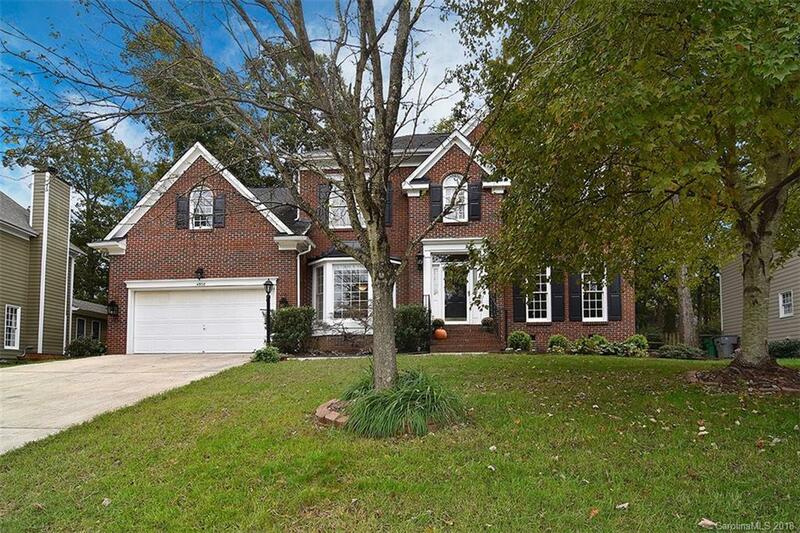 BEAUTIFUL, well-cared for home in the FABULOUS neighborhood of Highland Creek. The soaring 2-story foyer welcomes you home & the warm, refinished & brand new true hrdwd floors flow throughout the 1st floor. Huge formal LR currently serves as an entertainment room but could easily be used an office space. Oversized DR features a bay window, chair rail & picture frame molding. Convenient butler's "pantry" connects to chef's KIT complete w/new granite counters, subway tile backsplash, pendant lights & SS appliances (stove w/double oven). The KIT also boasts a convenient desk area for all of your home office needs & a spacious eat-in breakfast area. Enjoy your morning cup of coffee in the sunroom w/a view of the deck & fenced back yard. Open floor features large family room w/gas log fireplace. Upstairs offers all new carpet. Large serene MSTR features tray ceiling & inviting MSTR BA w/his & hers sinks. Large secondary BRs plus a huge 5th BR/bonus. AC 2016 & 2017. Roof 2009.